Make:Tokyo Meeting 06 sponsored by O’Reilly Media, Inc., publisher of the Magazine `Make` for hobbyist of making something, took place at Tokyo Institute Technology on Nov 20-21, 2010. Lots of exhibition, such as electric circuit, art, DIY, craft, science etc. were introduced. 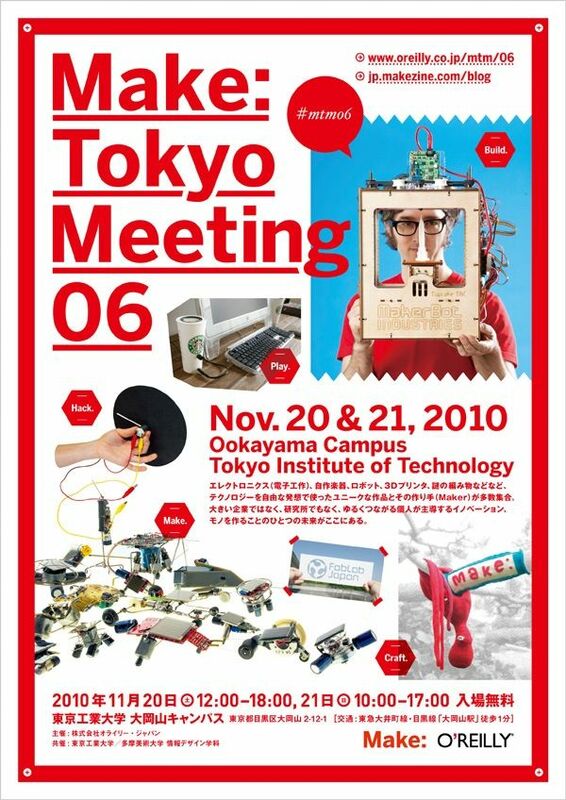 Sugiura-san introduced `Bioloid GP`, a new robot kit of ROBOTIS at Make: TOKYO Meeting 06 on Nov 20-21st, 2010. The new robot will be put on the market near future in Japan. Bioloid GP has 18 axes with AX-18 servo which torque is 18 kg・cm. Pictures of the new robot kit in the case and assembling robot kit were described in Sugiura-san's blog. 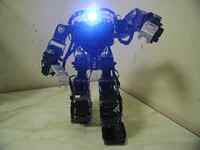 Lem-san also described and uploaded the new robot video at Make: TOKYO Meeting 06 in his blog. 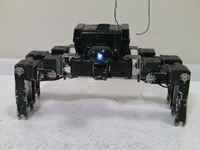 V-Sido, a new excellent robot control software was demonstrated in Futaba booth. The details of the software are also described in the video【ニコニコ動画】【V-Sido】赤い彗星のＭＳを市販機ベースでつくってみた. The software has been providing to robot users.